We operate an extensive fleet of trucks and trailers that deliver across the UK. Our expertise spans many sectors, providing services to businesses in retail, FMCG, general merchandise, agricultural and manufacturing. 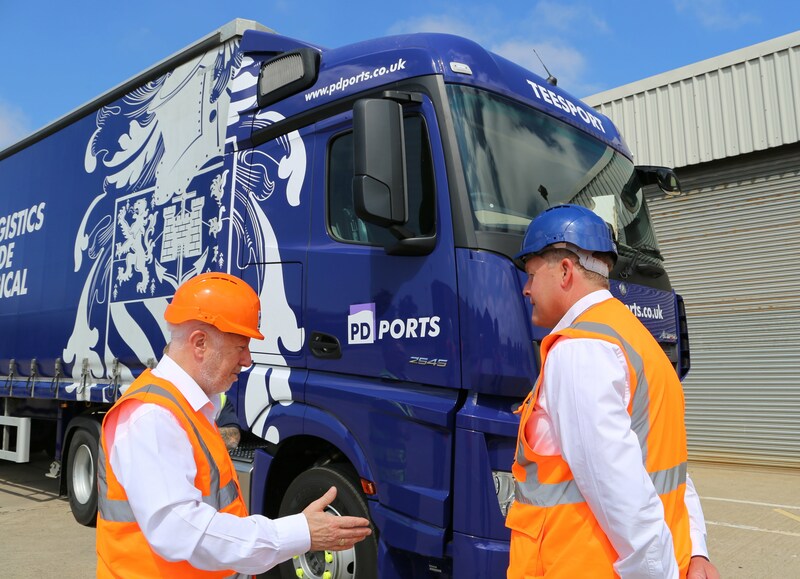 Our varied vehicle fleet brings reliability and flexibility to businesses, supporting port activity and services with simple and quick onward delivery. We’ll provide one single point of contact for businesses, adding clarity and transparency to what can often be a complex process. As our experts focus on transporting your goods, you can spend more time on what you’re good at; supporting business growth and development. All our sites provide excellent connectivity to the UK’s motorway network, allowing for cargo to be delivered in all directions and to all markets. On-site container shunting from port to distribution centre is also available at Teesport, Hartlepool, Groveport and Felixstowe. This allows cargo to be moved with ease by a team that has experience of transporting goods efficiently and safely, removing the need for additional contractors; further saving time and money. Transport services are available across the UK.